Thousands of people took to the streets of Yemen’s capital, Sanaa, to denounce the Saudi-led coalition, which launched a military operation in the country on this day a year ago. Saudi Arabia and its allies launched an intervention in Yemen on March 26, 2016, in an attempt to reinstate President Abedrabbo Mansour Hadi to power after he was ousted by Houthi rebels, who still control Sanaa and vast parts of the country. As many as 6,300 people have been killed since the coalition began carrying out airstrikes in Yemen, more than half of whom were civilians, according to the UN. 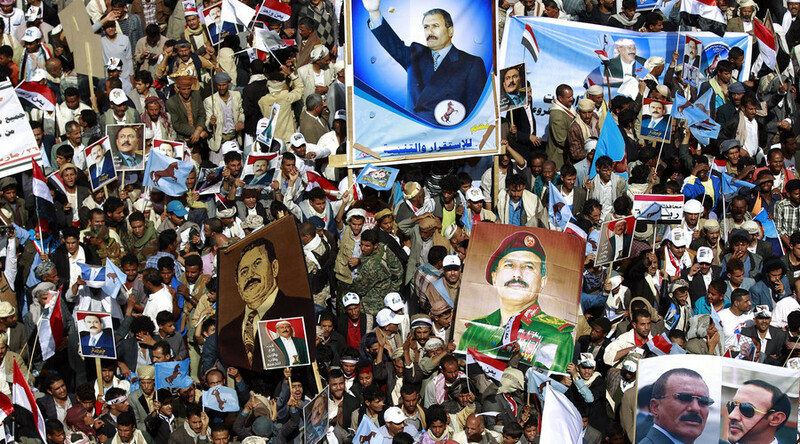 The rally in the capital was organized by the party of Ali Abdullah Saleh, who was Yemen’s president from 1990 to 2012, and is a present ally of the Houthis. Speaking at the gathering, Saleh reiterated his call for direct talks to be held with Saudi Arabia, but not Hadi’s exiled government. There was also a large anti-Saudi protest in the northern part of Sanaa, which was organized by the Houthi administration. On Friday, rebel leader Abdulmalik al-Houthi gave an address on national TV dedicated to the first anniversary of the Saudi-led campaign. “One year on, we look at the outcome of this aggression... It was said to be aimed at helping and serving the Yemeni people. 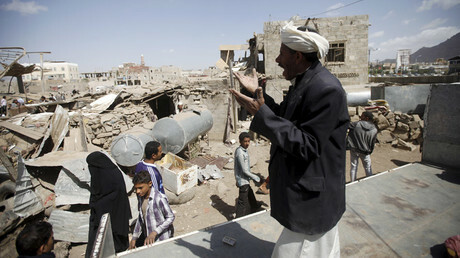 [But] this help came in the form of criminal killings and genocide,” al-Houthi said. UN envoy Ismail Ould Cheik announced earlier this week that the Houthis and forces loyal to Hadi have agreed to a cessation in hostilities beginning at midnight on April 10, which is to be followed by peace talks in Kuwait starting April 18. The Shia Muslim Houthis, who are claimed to be backed by Iran, captured the capital city of Sanaa in September of 2014, and went on to take large parts of the country, but fighting still remains fierce in many of Yemen’s regions. Since intervening in its neighbor’s conflict, the Saudi-led coalition has been slammed by various human right groups for causing civilian casualties. 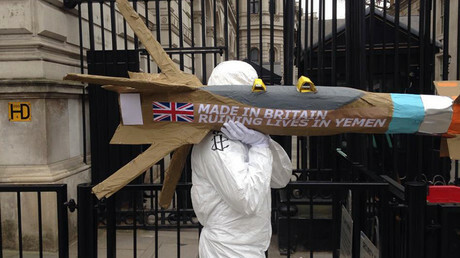 Earlier this week, Human Rights Watch (HRW) urged the US, France, and the UK to suspend all weapons sales to Saudi Arabia until it ends its airstrikes and investigates bombings resulting in unlawful civilian deaths. HRW says it has documented 36 illegal airstrikes conducted by the Saudi-led forces in Yemen, some of which may amount to war crimes. The coalition’s air campaign has targeted schools, hospitals, and homes, with “no evidence they were being used for military purposes,” killing at least 550 civilians. Even Riyadh’s allies in Washington have voiced concerns over civilian deaths amid the Saudi-led operation.